The origins of osteopathic medicine are credited to Andrew Taylor Still, a practicing physician in Missouri during the late 19th century. Still was the first to articulate his ideas on improving the medical practice of his day, triggered by the tragic death of three of his children from spinal meningitis and one from pneumonia. During this time period, most doctors practiced "allopathy," a term coined to describe "regular" physicians who were treating patients with massive doses of drugs. In those days, all medical practices were rather primitive. Still was therefore determined to find a better way to practice medicine. He believed that most physicians were preoccupied with the specific disease, instead of concentrating on disease prevention and conditions for health. A.T. Still's practice of medicine was grounded in the study of anatomy, training with his physician father, and his review of medical books. Still may have attended formal medical school in Kansas City, but there are no records to authenticate this training. A fundamental part of Still's development of osteopathic medicine was his belief that the body could be cured without drugs. In addition to the influence of Still's personal experiences and medical training on the development of his philosophy, his religious beliefs as well as alternative medical theories played a role too. Still examined alternative medical theories such as magnetic healing, bonesetting, hydropathy, homeopathy, Grahamism, and eclecticism. According to Museum of Osteopathic Medicine, Still rejected many of these alternative medical theories but some elements from these theories he adapted (cognitively or not). For example, when Still moved to Kirksville, MO he was able to gain enough acceptance to open an office in 1875. During this time, he advertised himself as a magnetic healer and a "lightning bonesetter." Although it is not exactly known when Still originated the term "osteopathy," the Museum of Osteopathic Medicine states that Still's philosophy of drugless, manipulative medicine was officially labeled "osteopathy" in 1885. As Still's philosophy continued to grow, the American School of Osteopathy (ASO) was eventually founded in Kirksville. In 1892, Still was granted a certificate of incorporation for the ASO by the State of Missouri. Still was adamant that osteopathy was not the practice of medicine because he conceived the practice of medicine strictly as the use and application of drugs. However, due to legislation in Missouri soon after the ASO's birth, the "school of bones" was changed to be known as a "school of medicine." Even with this change in verbiage and legislation, Still and his colleagues fought to retain the term DO within their discipline. Also at this time, standards of training and practice continued to evolve. For example, in the early 1900's, the standards of training for osteopathic medical students were expanded from two years to four years. Even though DOs were establishing themselves and their educational institutions to have credible and comprehensive standards, there were others creating barriers for DOs as well as discriminating against them. Here is a video that A.T. Still University released after A.T. Still's induction into the "Hall of Famous Missourians" on April 16, 2014. In 1923, the American Medical Association (AMA) announced that it was unethical for MDs to consult with DOs and within 15 years, the AMA forbade MDs from even engaging in professional relationships with DOs. Insurance companies such as Blue Cross and Blue Shield, would not provide medical payments for work performed by DOs in the 1940s. Similar to this occurrence and under pressure from the AMA, the U.S. Armed Services barred DOs from servings as doctors in World War I, World War II, and the Korean War. It was not until the Vietnam War that DOs were permitted to serve as commissioned medical officers. Another large scale obstacle that DOs encountered was in California during the 1960s. In 1961, there were more DOs practicing in California than any other state. This was due to the fact that there was one of the best osteopathic colleges in the country in California as well as many training hospitals. However, in 1962, the California Osteopathic Association (COA) merged with the California Medical Association (CMA), resulting in osteopathic institutions converting to allopathic institutions. Thus, it was prohibited to license any new DOs in the state and DOs who had previously obtained their DO degree were offered to trade-in their credentials for MD degrees. This legislation was not changed until 1974 when the California Supreme Court ruled it as unconstitutional and therefore, DOs were able to be licensed again. Within a year of this time, all 50 states in America were granting licenses to DOs. Not only were there numerous hardships and ubiquitous discrimination for DOs, such as the instance in the 1960s in California, but osteopathic colleges were self-sustaining, nonprofit institutions until 1969. This meant that they did not have support from taxes hence; they relied on themselves to sustain their institution(s). Although, in 1969, the first state-supported osteopathic college was formed: the Michigan State University College of Osteopathic Medicine. By 1981, fifteen other osteopathic medical schools were established. Today, there are 30 colleges of osteopathic medicine in 40 locations within the U.S. 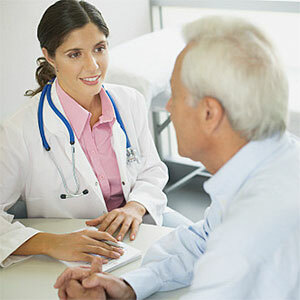 The majority of DOs today are primary care physicians, however DOs can be found in all branches of medicine. DOs have essentially the same medical training as MDs and must pass comparable licensing exams. The primary difference between the two is that DOs emphasize training in osteopathic manipulative treatment (OMT) and abide by osteopathic principles. • Jeanette "Nettie" Bolles, DO was the first woman in the U.S. to receive a DO degree in 1893. • Forrest "Phog" Allen, DO is most noteworthy for his legacy as the coach that fostered the most wins in Kansas University's basketball history. He not only recorded over 700 wins as a coach, but he also was skilled in treating athletic injuries as an osteopathic physician. • Ethel D. Allen, DO was an osteopathic physicians as well as a Republican politician. She served as Secretary of the Commonwealth in the Pennsylvania state cabinet and was also a member of the Philadelphia City Council. • Ronald Ray Blanck, DO was the 39th Surgeon General of the Army during 1996-2000 and later the Commander of the U.S. Army Medical Center in Fort Sam Houston, Texas. • Enrico Fazzini, DO, PhD was sought out by the Vatican to treat Pope John Paul II for Parkinson's disease. He has treated other celebrity patients such as Michael J. Fox, Muhammad Ali, and Janet Reno. • Sue Bailey, DO was an administer for the National Highway Traffic Safety Administration, Deputy Assistant Secretary of Defense, Clinical Services, and Assistant Secretary of Defense, Health Affairs. • William Kirby, DO is an AOA board-certified dermatologist who is a featured physician on E! Entertainment Television's "Dr. 90210" and a guest dermatologist on the medical talk show The Doctors. • Ivan Raimi, DO is not only an accomplished DO in Michigan but he is also a famous screenwriter. Dr. Raimi has written and collaborated on famous films such as Army of Darkness, Spider-Man 3, Drag Me to Hell, and the television series Spy Games. • Washington Conner, DO and David Conner, DO were the first osteopathic physicians in Arizona in 1898. • M.L. 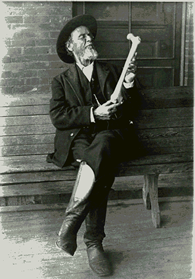 Parcels, DO was the first osteopathic physician in southern Arizona in 1900. • Drs. Carlton Towne, Coy Purcell, Robert Grant, John Duncan, Van Fossler, Homer Fredericks, Ernest Johnson, & Thomas Odom were the founders of Tucson General Hospital. Tucson General opened in 1949 and was the third osteopathic hospital in Arizona, which only started with 15 beds. • Lillian Green Balance, DO was the first woman osteopathic physician in Arizona. • Spencer Ellsworth, DO opened the first licensed osteopathic hospital in Safford, AZ in 1942. Sources: 1) Dr. Norman Gevitz, PhD. The Journal of the American Osteopathic Association, Volume 114, Number 1-2. 2) The American Osteopathic Association, "About" Webpage. 3) A.T. Still University Website. 4) U.S. Army Medical Department, Office of Medical History Website. 5) Kansas Historical Society & Kansas Historical Foundation Website. 6) Scott Johnson's book "Something More... Osteopathic Medicine in Southern Arizona"
7) Pennsylvania Department of State Website. 8) U.S. Department of Defense Website. 9) The Museum of Osteopathic Medicine Website.